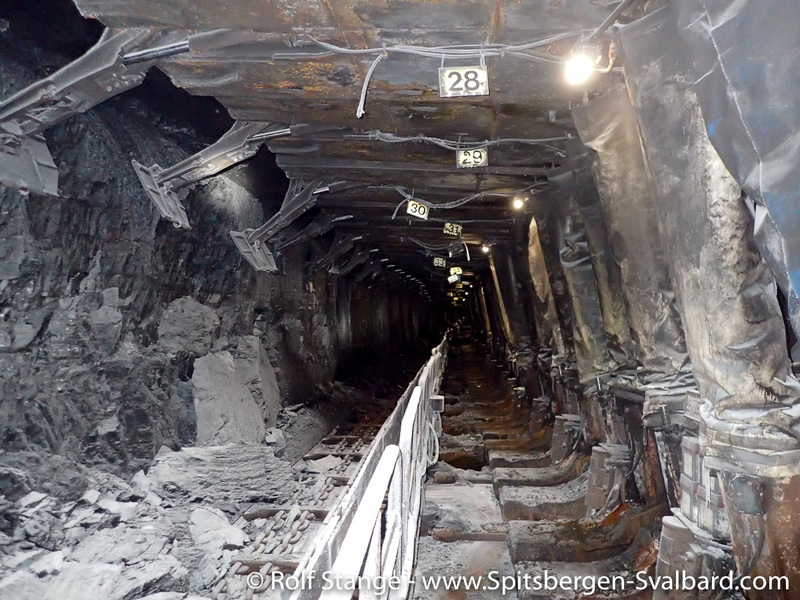 Svea Nord is a coal mine that is part of the Norwegian mining settlement Sveagruva. 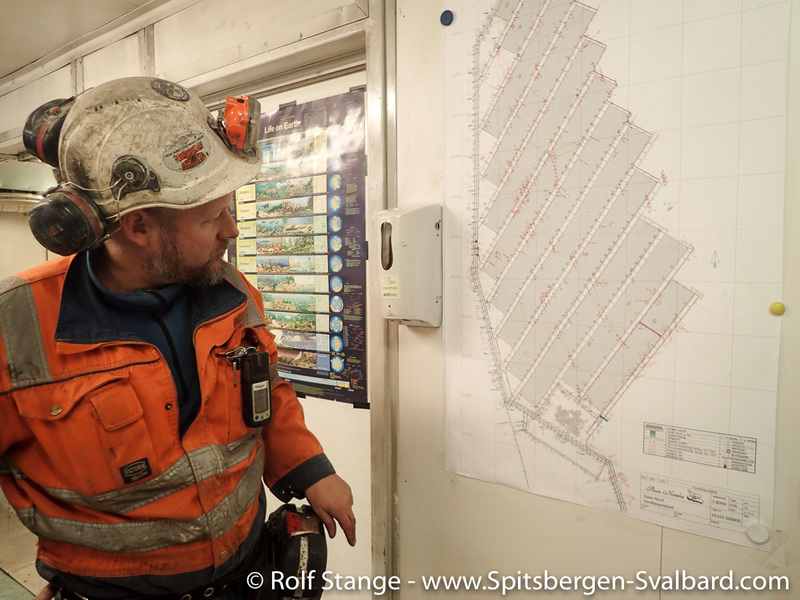 Svea Nord was opened in 2001 and for a couple of years it was the main coal mine of Store Norske Spitsbergen Kulkompani (SNSK), who also own and run mine 7 close to Longyearbyen. 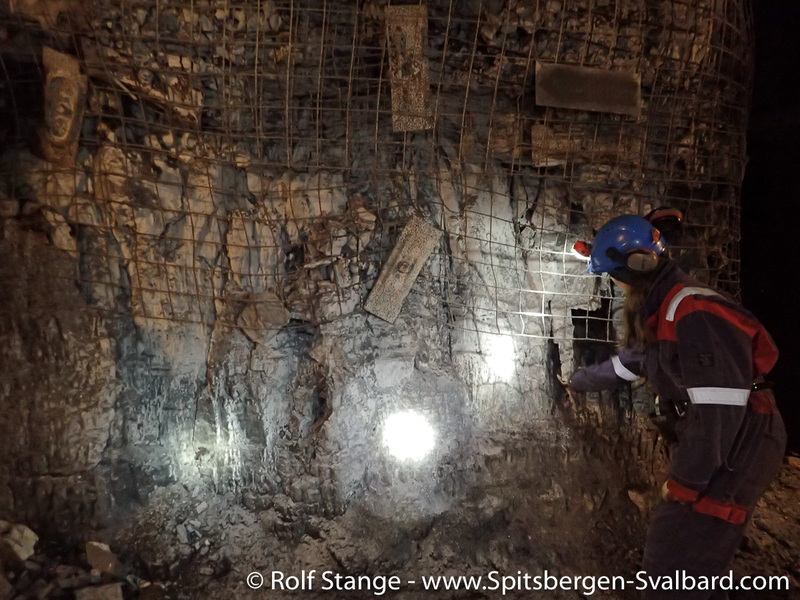 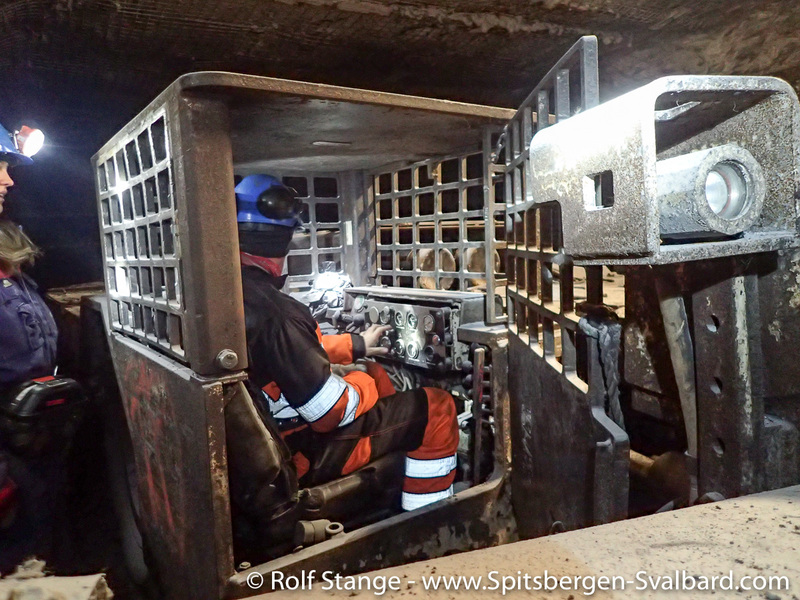 The annual production in Svea Nord was up to 3 million tons – not a relevant quantity on the world market, but the biggest productivity ever reached in a coal mine in Spitsbergen. 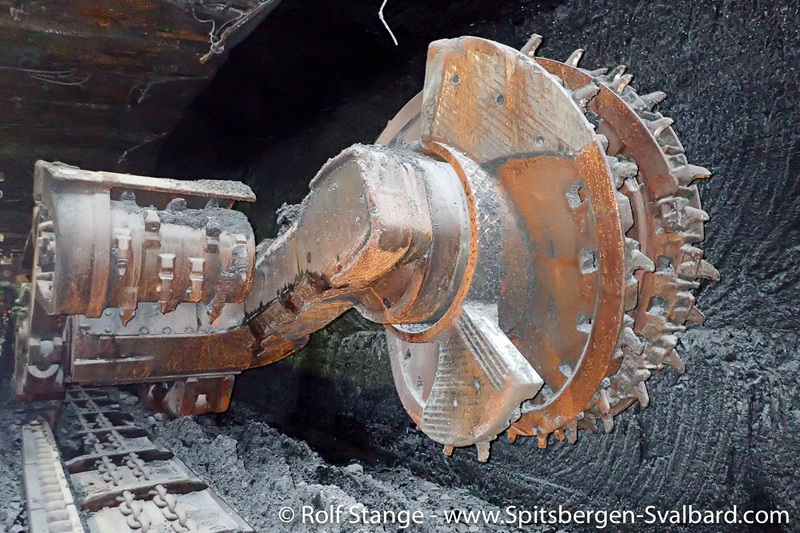 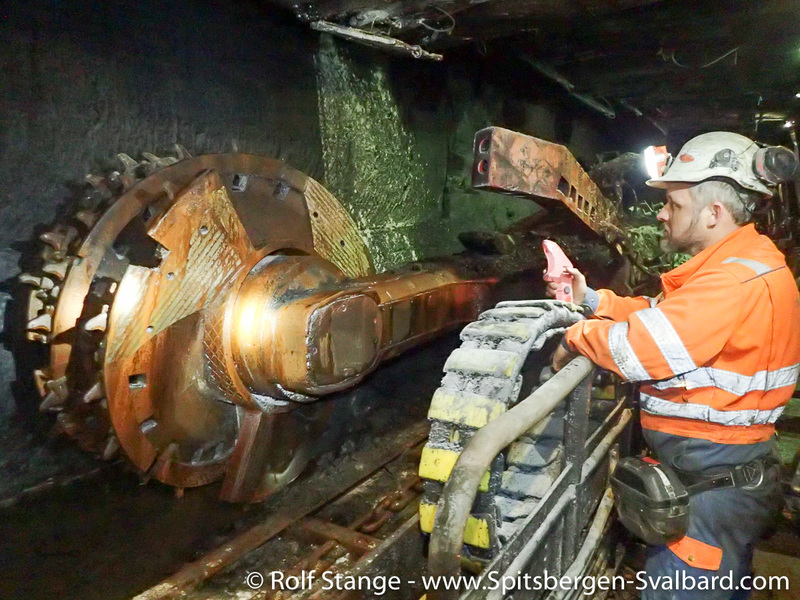 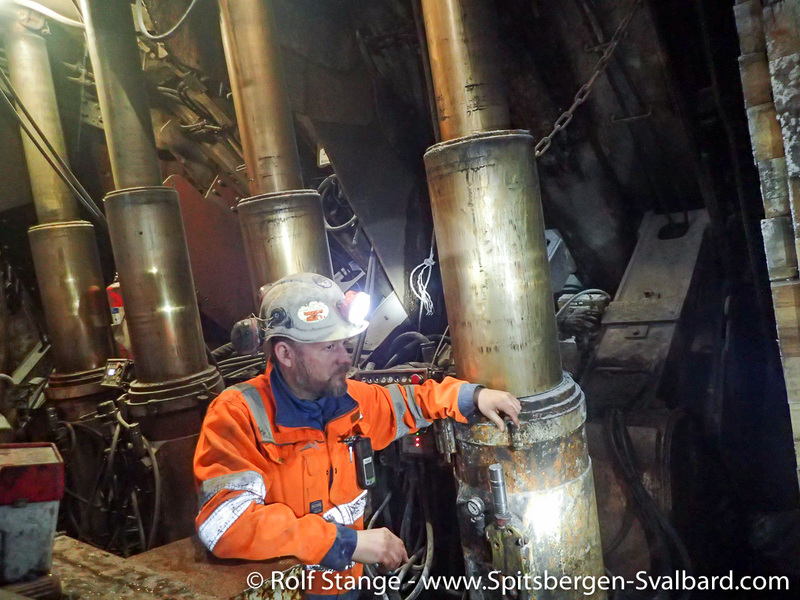 The impressive thickness of up to 6 metres of the coal seems in Svea did certainly help to achieve this. 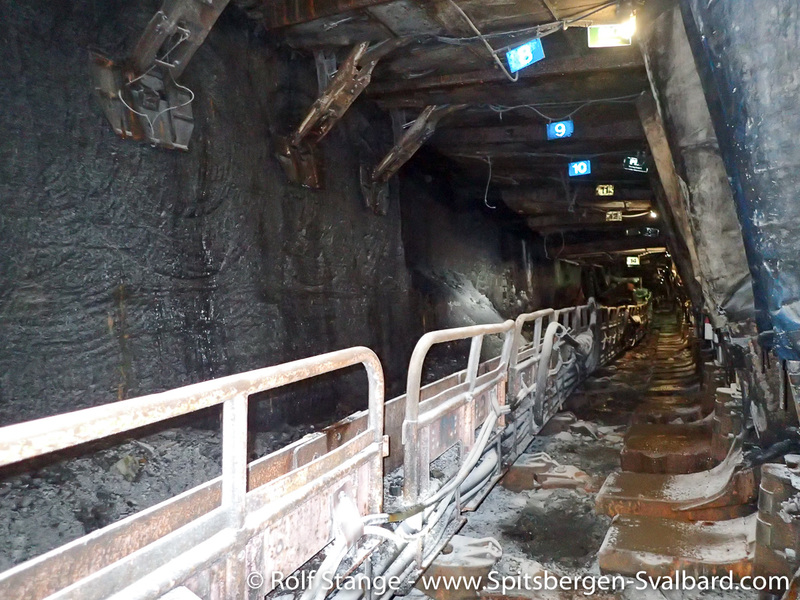 As a result, SNSK made some good profits with coal mining in Svea Nord for some years. 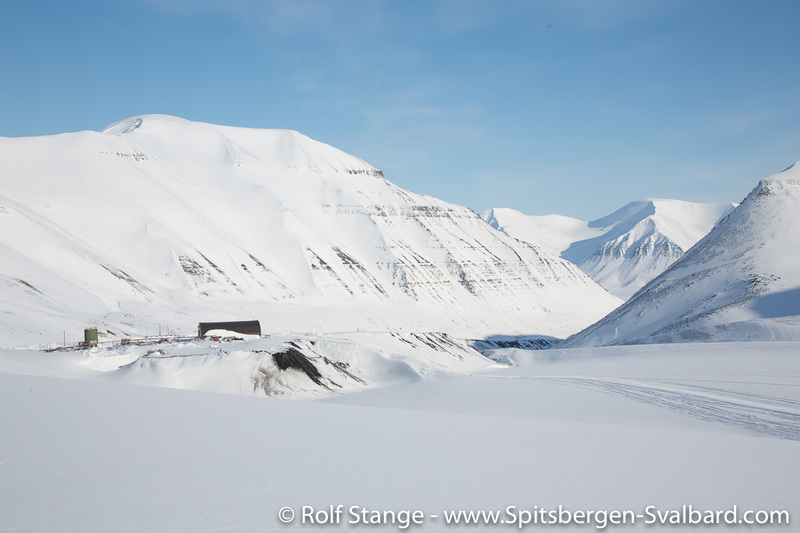 Profits are the exception rather than the rule for coal mining in Spitsbergen. 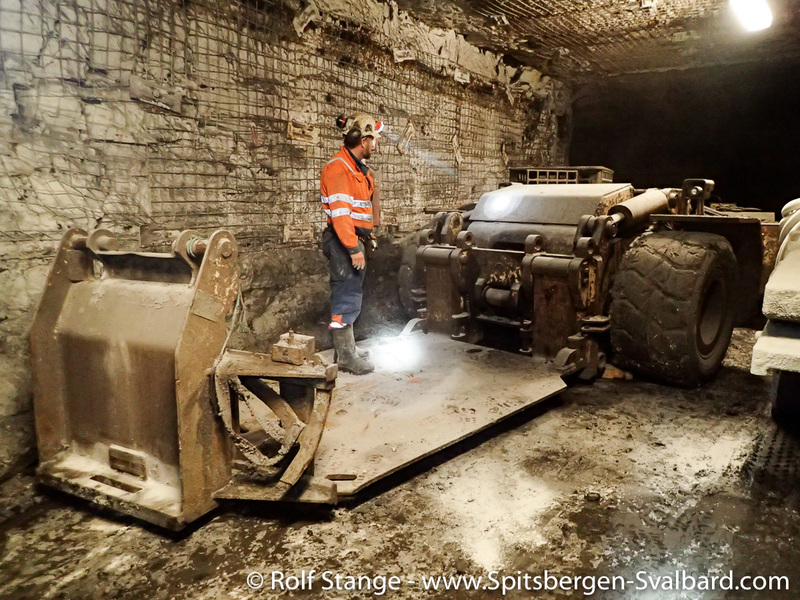 Mining was terminated in Svea Nord in 2015. 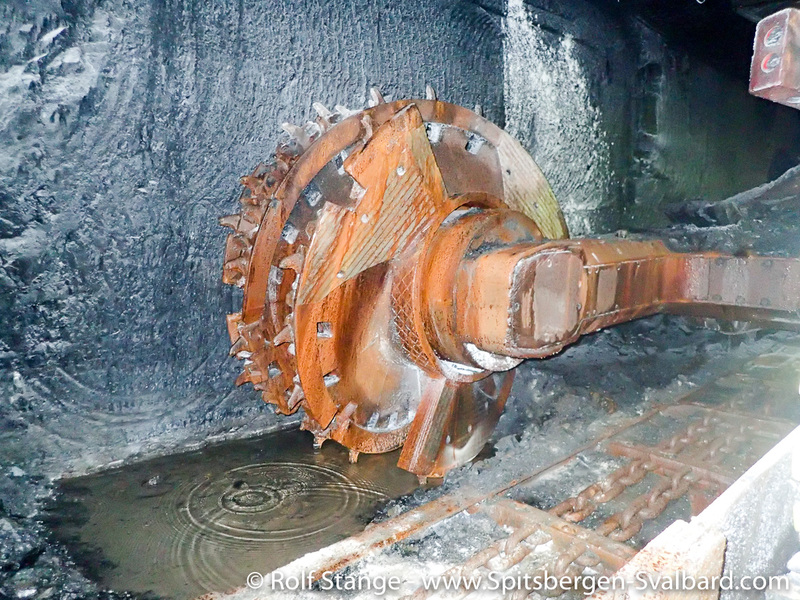 Already in 2013, SNSK had opened a new coal mine at Lunckefjellet a bit further north, but it never came into the stage of productive operation. 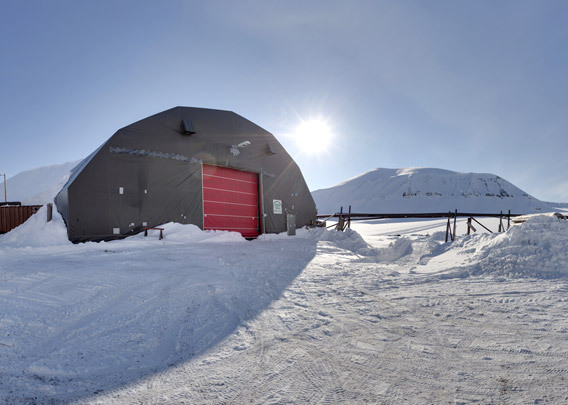 The reasons were within politics and economy. 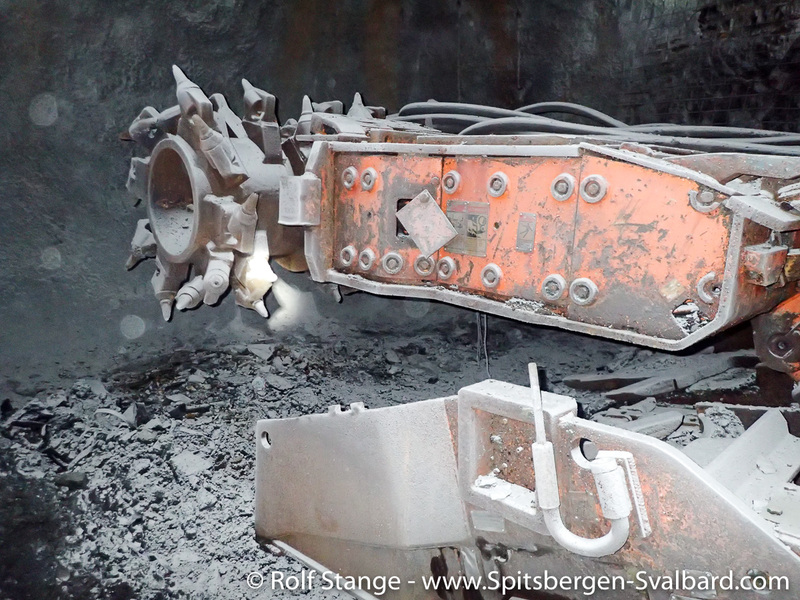 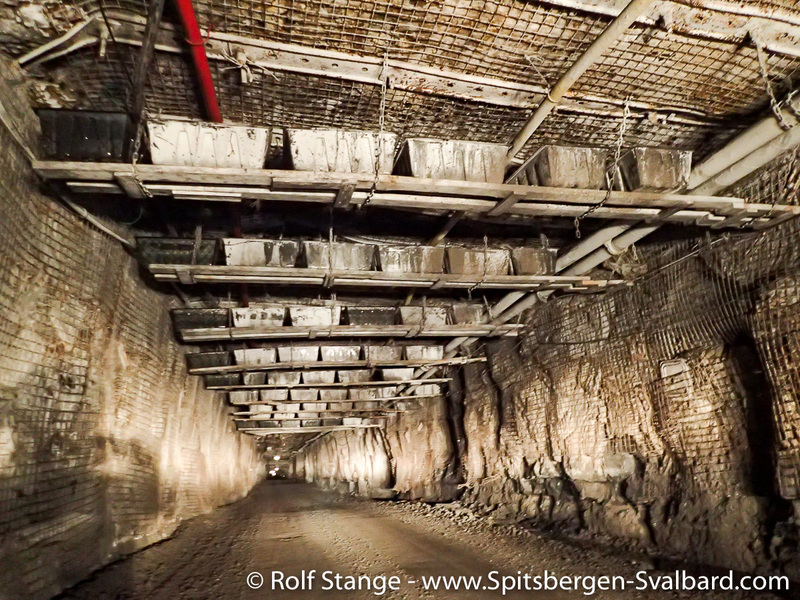 In 2017, the Norwegian government, as the owner of SNSK, decided to put an end to all coal mining in Sveagruva including Svea Nord and Lunckefjellet. 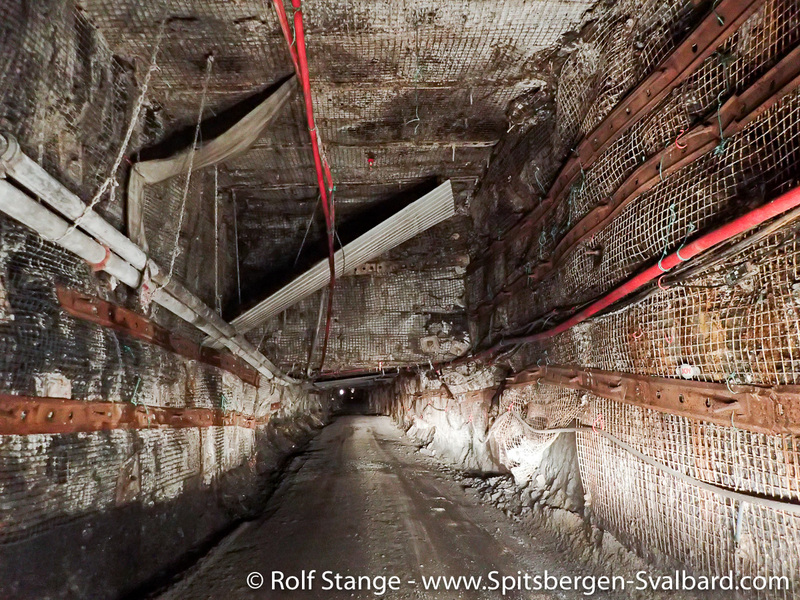 Photographing a panorama in the mine itself was not allowed, I could do that only outside. 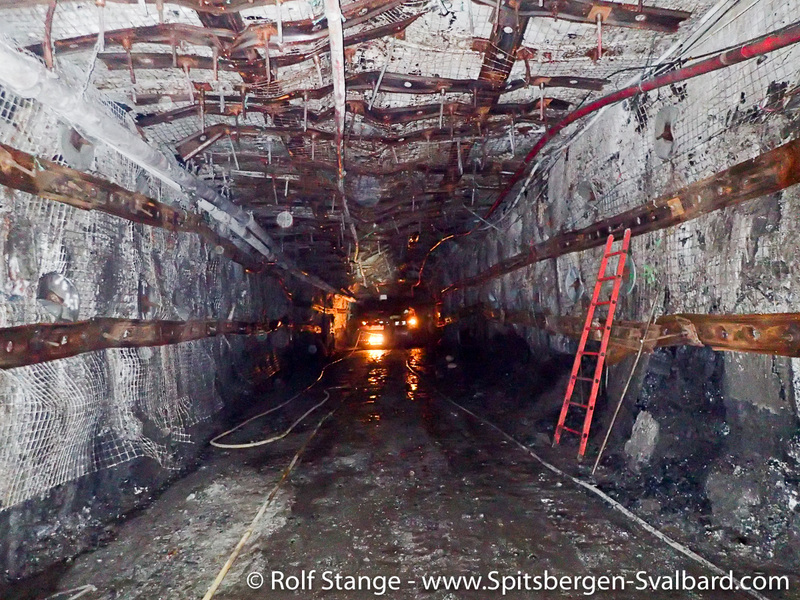 Generally speaking, opportunities for photography in a coal mine are limited, to put it mildly. 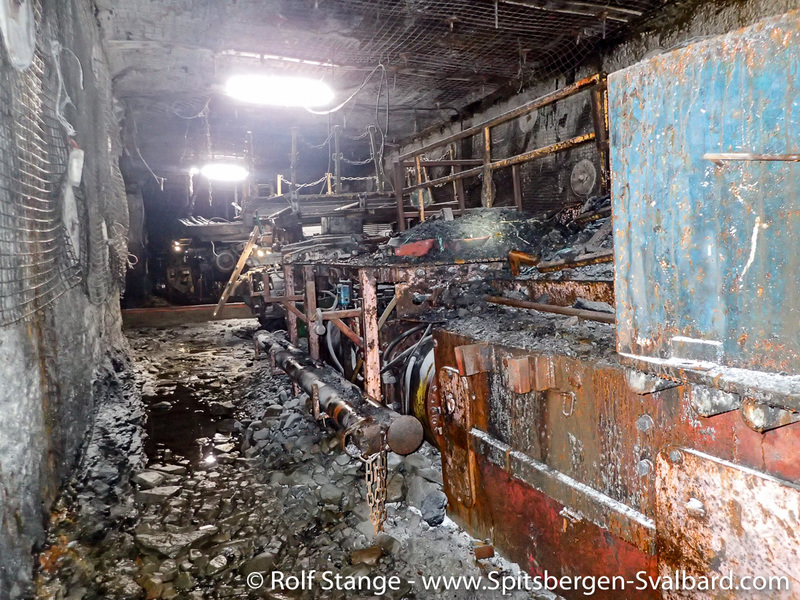 As a result, I don’t have a panorama from inside the mine itself, unfortunately, but at least a gallery of conventional photography take with a little snapshot camera which was approved by the mining company. 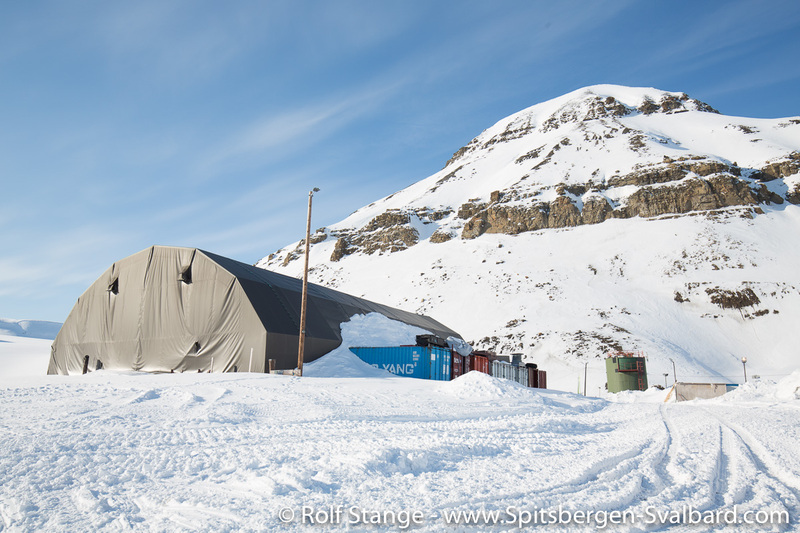 At this time, Svea Nord was not in productive operation anymore. 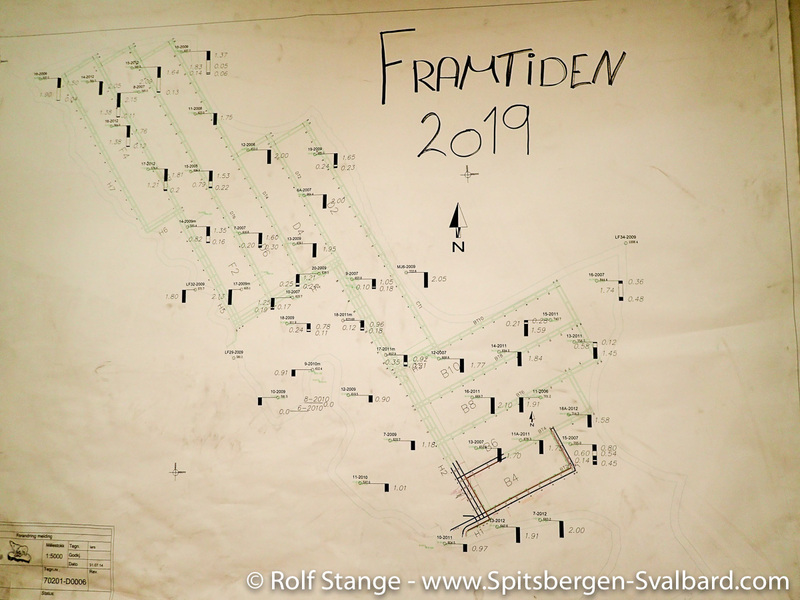 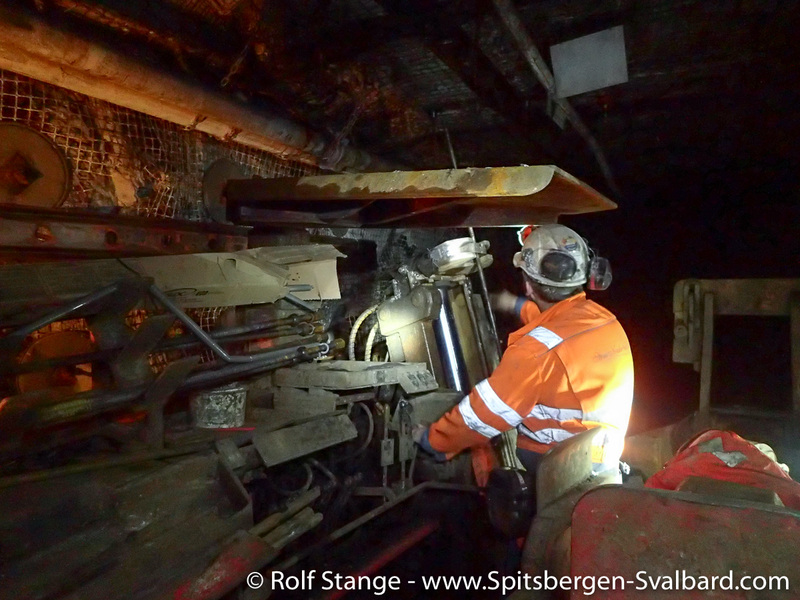 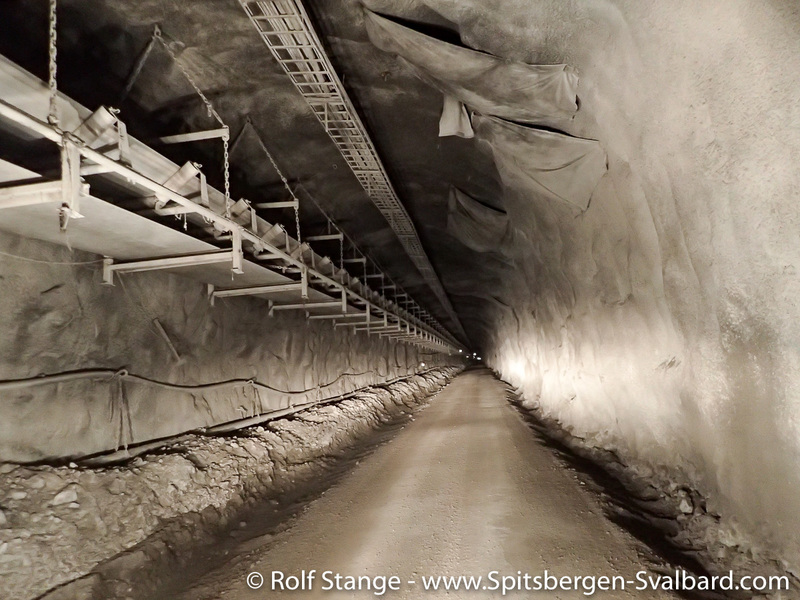 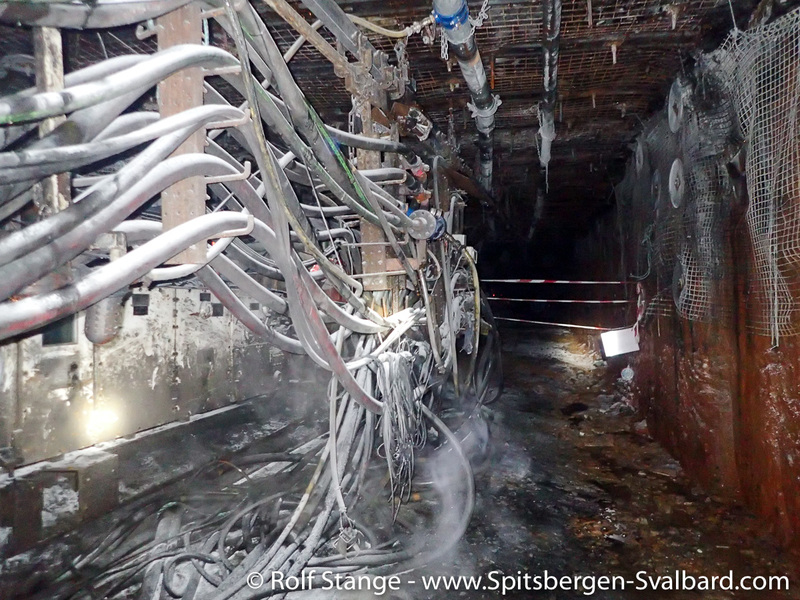 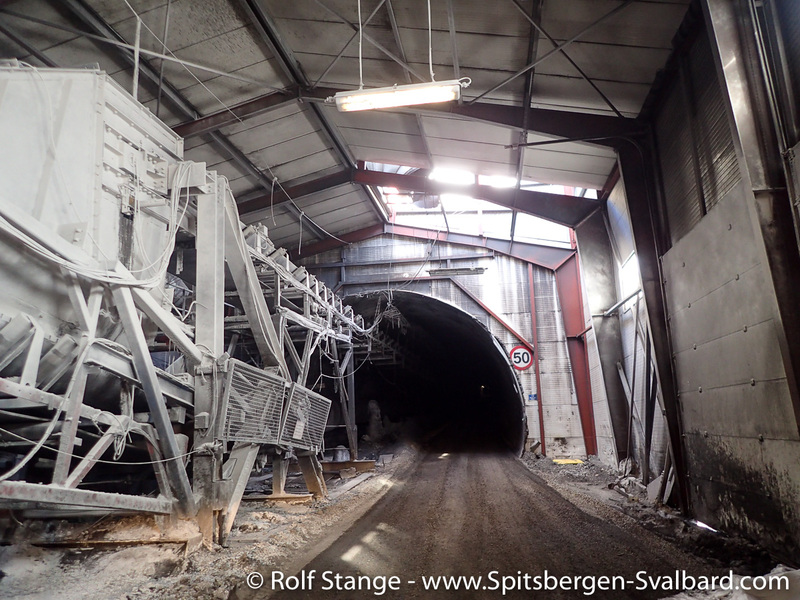 I was able to take several 360 degree panorama photos in the Lunckefjellet mine in February 2019, shortly before the mine was closed. 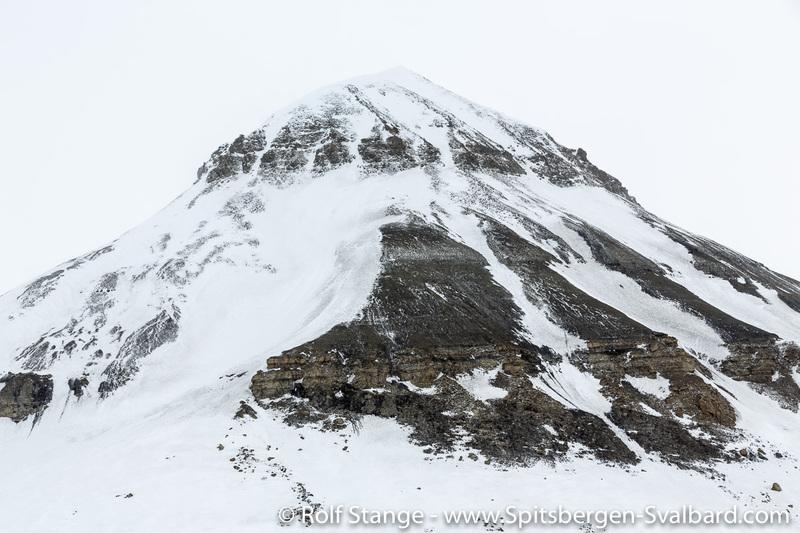 Click here to access the Lunckefjellet panorama page.